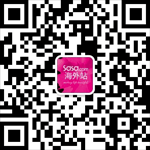 Home > Beauty, Wellness and Sports > Beauty > [SaSa ] 【Today’s Special】US$13 Only! Get DR.CI-LABO Labo Labo Super-Keana Lotion Now! [SaSa ] 【Today’s Special】US$13 Only! Get DR.CI-LABO Labo Labo Super-Keana Lotion Now!